Licensed in-home child care and preschool serving children ages 4 weeks to 5 years. We recently moved our child care / preschool from Battle Ground to Kelso and are setting up interviews now. We are located in a convenient Kelso location with quick and easy access to Hwy 5, Hwy 432 to 30 and Hwy 4. Parents whose children have attended our program during their precious first years have shared their experiences with us. Scroll down for Parent/Grandparent Feedback. Positive Child Care Solutions is an in-home licensed child care and preschool offering care to children ages 4 weeks to 5 years. Preschool and kindergarten readiness is offered to children when they're ready. Infants and toddlers are included in many of our preschool activities. Our program is structured so children are healthy, happy, safe and learning new things every day. Our program is also structured to help make parents' lives easier. For example, we belong to the USDA food program so parents don't have to worry about preparing and packing food for their children. Instead, we provide healthy, kid-friendly meals & snacks at no cost to parents. 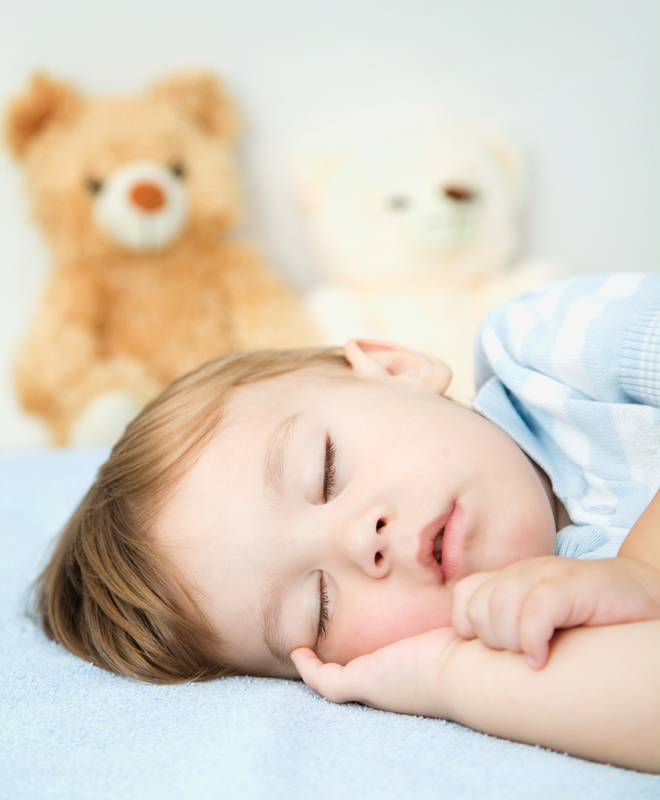 Positive Child Care Solutions bases its philosophies on each child's total development. Children are encouraged to explore the world around them through free play and age-appropriate activities. Academic research states children experience the deepest, most genuine learning when they are having fun. So we have fun!! Learning through play is at the heart of my program. It is through play that young children learn about themselves and others. It is my goal to support each child's creativity, self-confidence, and independence daily. I strive to incorporate a variety of experiences - some structured, some not - to ensure a healthy balance. My child care environment and schedule are set up to avoid conflict. By keeping the children busy, happy and healthy problems are rare. I believe children begin learning the moment they're born. As such, I take advantage of "learning moments" throughout each day. Children learn through music, story time, books, arts and crafts, circle time, puppets, play, and more. I have developed a kindergarten readiness/preschool program using the finest early learning philosophies. Children entering kindergarten after attending my program have consistently exceeded entrance requirements. Children will be given the opportunity to learn the importance of doing their part for our environment. They will learn to recycle, have a chance to grow their own vegetables, and will learn to make their own creations using items from nature. They will also learn how to turn everyday reusable items into fun and unique pieces of art. Significant research has provided evidence that warm, loving and home-like settings are natural environments for children during early childhood. While offering the safety and comfort of home, and providing a consistent caregiver throughout the years, family child care is the care of choice for many parents. Our program offers fun, safe, healthy and nurturing learning environment (both indoors and outdoors) that support the physical, cognitive, and emotional growth of infants, toddlers, and preschoolers in our care. The learning environment provides developmentally appropriate experiences designed to stimulate these areas of growth. Parent/provider communication is vital to making the strong connection between home and childcare. Parents have confirmed (see Parent/Grandparent Feedback below) that ongoing communication helps foster a supportive, consistent, and thriving environment. Parents have indicated they love seeing pictures and videos of their children while they are in our care. My camera is always close at hand to capture precious moments that I send via text, as time permits. I also have a private Positive Child Care Solutions Facebook page. Parents have the option to join the page where I share pictures and videos of the children's daily activities. This has been a great way for parents to get to know one another and to see their children's interactions with their friends. I have worked with young children and families for over 25 years - my true passion. I have assisted families as a Certified Family Coach, tutored school-age children, operated workshops and classes for parents, children and teens, and worked as a licensed child care provider both in Washington State and California. I went back to college in the 90s to join the legal field, worked for eight years, then returned to doing what I love most in 2008 - working with young children and families. I encourage you to contact me if this sounds like the environment you've been looking for. We can then set up an appointment to meet so you can learn more about what I have to offer and I can learn more about your childcare needs. 360-703-3479 or 360-903-3951. "Isabelle cared for my two children Madelyn and Logan. I was new to the area and didn't know anyone who could care for my children. I found her ad online and thought I'd give it a try. I had an older son who has been to daycare previously so I had some expectation of how it should be. "Isabelle's daycare was by far the best I've ever experienced. Madelyn began speaking more clearly and properly. She started using new vocabulary I didn't think she'd learn at such a young age. "Everyday Madelyn would tell me stories about all the different activities she'd done that day such as painting, storytelling, and trips to the park. 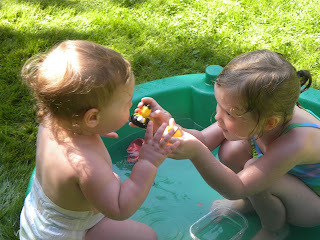 The children at Isabelle's daycare were immersed in activities that developed their minds and bodies. The television was rarely on. "Logan was always happy and clean when I picked him up. Isabelle made life easier for me by washing Logan's clothes and providing his meals. She even made time to send photographs through text messages of the children's activities during the day. She was very accommodating to my busy schedule. 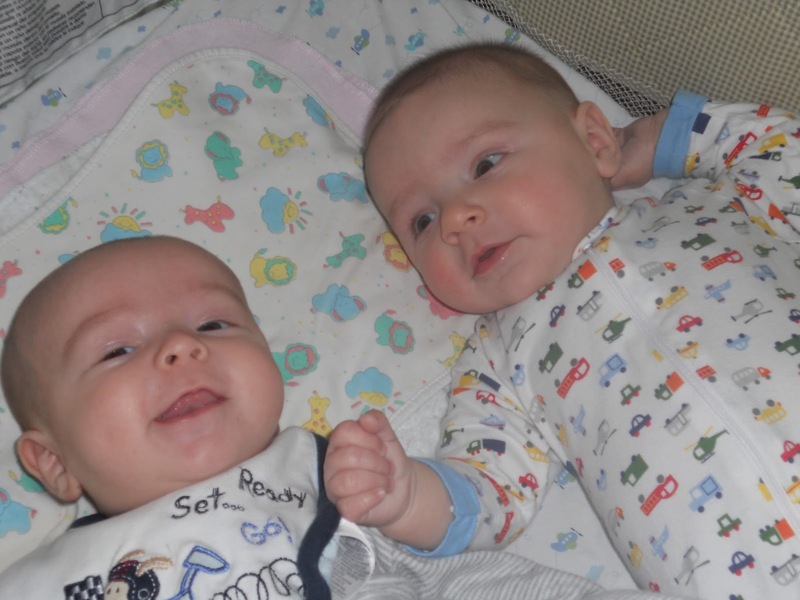 "Most importantly, my children were always happy and excited to go to Isabelle's daycare. I was impressed with Isabelle's professionalism and genuine care and love for the children. She didn't just watch the children. She helped develop their skills and personalities. I know she will continue to provide the same level of care to future children." I was looking for a new daycare when my daughter was 7 months old, and after multiple correspondence with Isabelle through e-mail, we set up a meeting. I was very impressed that she and Dave were interviewing us as much as we were interviewing them! It showed me that having the right fit for all of the children was as important to her as it was for us that our daughter would be a part of a "daycare family" instead of being just another child to care for. Eloise was on breast milk for the first 5 months she was there, and Isabelle made it so easy for my daughter to be fed in the way that I wanted her to be. When we started adding baby foods and later solid foods to her diet, Isabelle worked with me every step of the way about what to feed and what we were introducing next. 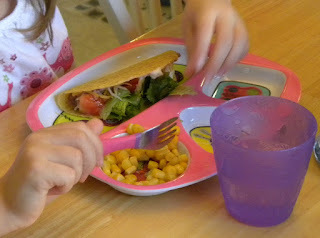 Once we were through introducing new foods, she kept Eloise engaged in healthy eating with a wide variety of foods. Isabelle and Dave's was a home away from home for our daughter. We regularly received texts and pictures from her day, and if she needed a little extra attention at one point or another, we had no doubts she would receive the extra hugs and loves she needed to get through teething, a cold or just a bad day. The activities and learning lessons that were provided to our daughter were varied and were at a level that kept her challenged but were always fun. They learned about nature, outdoor play, sharing and taking turns, as well as some of the basic alphabet, colors, shapes, etc. She also loved Dave's stories and his songs! Eloise became very attached to both Isabelle and Dave, as well as all of her friends, during her time there. We very much appreciated the teaching and nurturing and level of caring that our daughter was able to experience during some of her most formative years. We all miss Isabelle and Dave very much, but know that they will be such a great influence on a new group of children. Eloise was in the care of Isabelle and Dave for nearly two years and would still be there had they not moved out of our area. "Being new to day care I was amazed that Layna immediately adjusted to being with Isabelle. 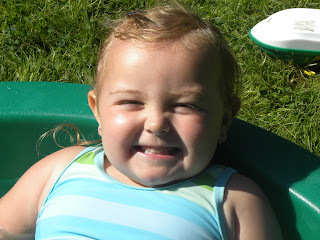 Layna loved being there and being part of story time, arts play time and going to the park. She would be happy in the morning when she was dropped off and was not ready to leave when it was time to go home. "My experience with Isabelle was that she went above and beyond to take care of Layna and all other children in her care. She cooked them fresh meals every day which I loved that she took the time to prepare fresh and healthy food. "Not once did Layna come home unhappy. Anytime Layna got dirty from playing outside, playing with paint and crayons, she was always in clean clothes and washed up when she came home. "Isabelle was also a great source of information for us as we are first time parents. We still keep in touch as we consider Isabelle like family after the wonderful care she provided for Layna." "Henry was always happy to go to daycare and happy when he came home. He received a lot of attention and positive stimulation, which I believe has been critical to his early development. "Isabelle puts a premium on communication. She updated us daily on Henry's activities and provided advice on issues we faced as first-time parents. "She was willing to be flexible as we settled into our new life and tried to find the balance between work and family. 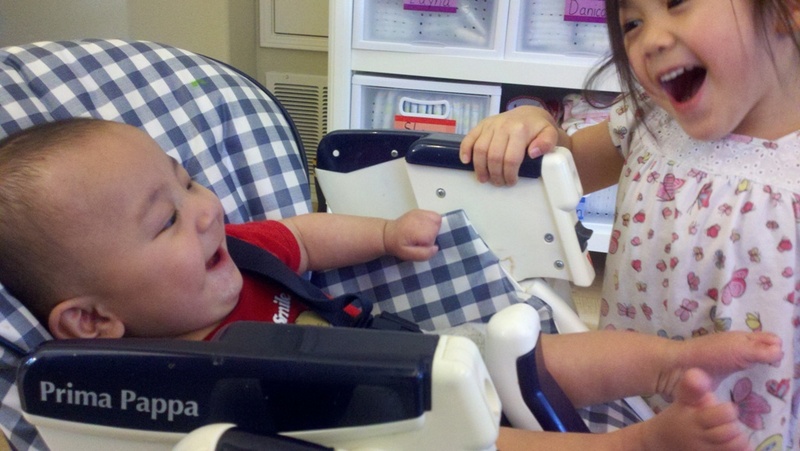 Isabelle is a devoted caregiver who truly loves children." "Henry was always happy, clean and playing with age appropriate toys. The other children interacted with him and each other and were polite when I showed up. "All the children appeared content. There was no TV!! Lunch was eaten at the table with the adults. 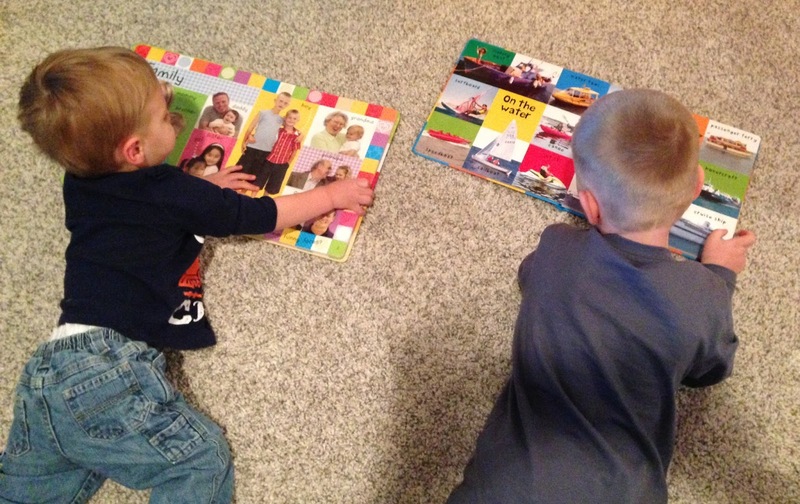 "All the rooms were clean and there were plenty of toys and many books and craft materials. It was obvious that the children were happy there." "I have known Isabelle and Dave Zehnder since 2011. They began to take care of my son Henry when he was five months old and continued through until he was almost 5 when they moved to Kelso. "I was consistently impressed by the affection they showed when talking about the children in their care, the neat and organized space they devoted to the children, and the many engaging toys and activities available. When I visited them when the children were present, the children were happy, engaged in a variety of activities, and all seemed very responsible, polite, and respectful. "Over the course of the first year, I was grateful for the caring, reliable, consistent environment Isabelle created for my son. He was always happy in the morning and after my day at work. I cannot express what a relief it was to know that my son was content and well cared for while I was away from him. "Isabelle was very successful in giving Henry something he wouldn't have been able to get from me at home, the chance to socialize with multiple children around his own age. When we went out with friends or to the children's time at the library, I noticed he played very well with other babies and I know that was because Isabelle worked with him and the other children. "When my son became a toddler, Isabelle and Dave provided a variety of age appropriate activities, keeping my son engaged and busy. He would proudly show me what he was working on at the end of the day. They also engaged him in story telling, songs, and discussion that have helped him become an articulate and polite boy. 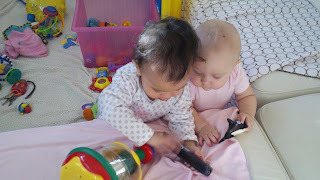 "Isabelle is very good about sharing pictures and sharing the kids' daily activities and interactions. It is nice to be able to see a part of his day and I appreciated the level of communication. "My son is still fond of Isabelle and Dave and asks me to send them pictures and for visits. They developed a warm connection with him while providing a safe, nurturing environment. I am sure he will enter kindergarten well prepared." "We instantly loved Isabelle. She was able to make us feel welcomed in her home and shared her philosophy about daycare with us which matched what we had been looking for. 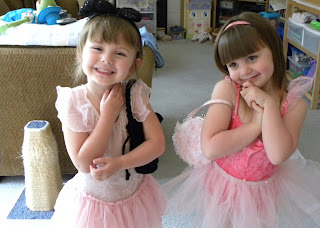 "Isabelle became part of the family and attended birthdays and dance recitals. She truly cares about the children and their families and works with them to create a sense of unity between home and daycare. "What I truly cherish about her daycare is that she provides structure for the children and has a great amount of play based instructional time as well." "Our daughter did not attend a traditional preschool, but Isabelle made sure that she provided preschool activities to prepare her for kindergarten. "At the beginning of her kindergarten year she had exceeded many of the entrance requirements." "Isabelle takes a personal interest in every child she cares for. Her ability to nurture each child's developmental stage is reflected in the positive aspects I have noticed in Aubrie's character as well as my interactions with the other children." "We felt safe, secure, and always knew that our children were provided the best care out there. "On an average day the kids were able to play with stations, story time, enjoy arts and crafts, quiet/naptime and (weather permitting) outside activities. "I was always confident they were being taught how to share and interact with each others on a social level. "I would highly recommend Isabelle for daycare for anyone looking for a comfortable yet structured environment. "We miss her regularly and wish we were able to continue to enjoy her daycare." Peace of mind when you can't be there!